The primary purpose of an aftermarket turbo is to increase the performance over the stock unit. This can be accomplished by choosing a turbo with better spool, more flow, or a combination suited to the end user’s needs. Boost threshold- the lowest RPM at which a turbo will generate positive manifold pressure at maximum engine load. Turbo lag- the time between hitting the throttle and the turbo providing full boost. Maximum Boost by Corky Bell is considered by many to be THE publication for turbocharger information. What do all the names and numbers of turbos mean?This link sorts many of them out nicely. What supporting upgrades are required for aftermarket turbos? At a minimum, aftermarket turbos require a fuel pump, injectors, and engine management for safe operation. What is my stock turbo? Is there a turbo upgrade that does not require other upgrades? Yes. 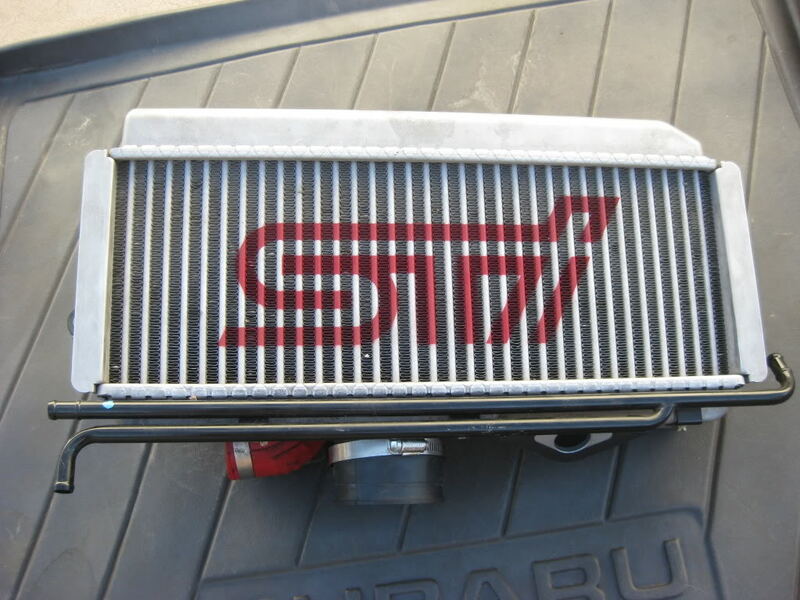 A ported and polished (P&P) stock turbo is an easy upgrade over the stock unit. Though there are many turbos that may be used for short periods of time with a boost controller, it is generally unwise to bolt on an aftermarket turbo with a boost controller. What is the best turbo with a little more top end? 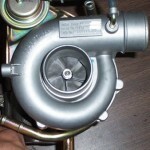 The most widely used turbos meeting this criteria are the VF30/VF34 and the 16G. What is the best turbo with a lot more top end? The most widely used turbos meeting this criteria are the VF22, 18G, 20G, FP Green and it’s clones. What is the best turbo with quicker spool? The most widely used turbo meeting this criteria is a P&P stock turbo. What makes a good autocross type event turbo? The big thing to look for in a good performer for autocross use would be quick spool and more than stock flow. The TD04, TD05-16G, VF34, VF22, VF39, 16G, and 18G can all be considered good autocross turbos, but their particular suitability depends on the type of events where the car is generally run. During the consultation with your Vendor, discuss in depth the course length, speeds seen, gears used, and other local venue particulars to assist in determining what best suits your needs. A word of caution….before modifying or changing your turbo, be aware that this will have an effect on what class your vehicle can legally run. Swapping a STi VF39 turbocharger onto your WRX/XT is really easy. Find out here the step by step process on swapping a VF39 onto your Subaru WRX/XT. A lot of people seem to be getting hung up on the oil return lines and coolant lines. The coolant lines and banjo bolts from the TD04 ARE interchangeable if your vf39 doesn’t have them (mine didn’t). 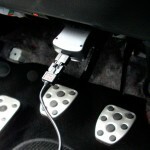 The oil return line is not and must be modified in order to fit the vf39, (mine had it). Or get a new one from the dealer. I will explain in the pictures when I get to these items. VF39 STi turbocharger onto your WRX/Forester: Start removing the head shield and downpipe. VF39 STi turbocharger onto your WRX/Forester: Start removing the downpipe. 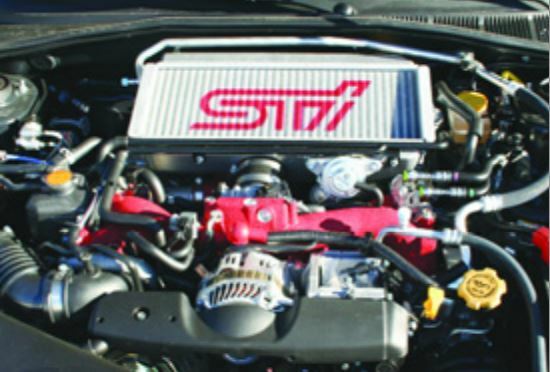 VF39 STi turbocharger onto your WRX/Forester: Remove coolant lines and oil lines. 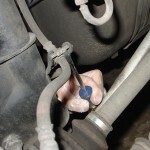 Then remove the 3 bolts that hold the turbo to the uppipe. Loosen from the intake remove vacuum lines and anything else attached to the turbo and you should be ready to take it off. The hose that the oil return line fits into is directly under the turbo and you should probably just lift straight out. Try to leave the hose where it is and lift the line out. VF39 STi turbocharger onto your WRX/Forester: changing out oil lines.